Yesterday was election day here in the States, and in Minnesota we had some important ballot measures to deal with. These days, I’ve been gone from VA for almost as long as I was there, and my political feelings have matured (although they still lean pretty far to the left). I understand where the disgust for politics comes from, and the frustration people have with the system. I know what it’s like just to want the campaigning to STOP already. But when election day rolls around, I still get giddy. I can’t help myself. Every two years (and sometimes more often), we as a nation go to the polls to decide how we want to be governed. There are problems, sure – we still live largely under the tyranny of the majority, and we have a tendency to want to vote on things that aren’t any of our damned business. But WE GET TO MAKE IT HAPPEN! Every two years, we get a chance to change our minds, to decide that we don’t like what’s going on – or to say that we love it, we’re satisfied, we want to see more of the same. We get to tell our lawmakers what we think of what they’re doing. This year, the nation has felt more polarized and extreme than ever. I actually stopped listening to the pundits and reading the blogs about a month ago because I couldn’t take the negativity anymore. Politics is and always will be personal, and the tone of the debate has largely moved away from civil and productive discourse to fear-mongering and thinly-veiled hate speech. We still live in a country deeply entrenched in a sense of entitlement, racism, and homophobia. Even those among us striving for equal rights for everyone have to constantly check our own assumptions and privileges. I admit that a lot of the rhetoric this season has been discouraging if not downright scary. But this, folks? This gives me hope. 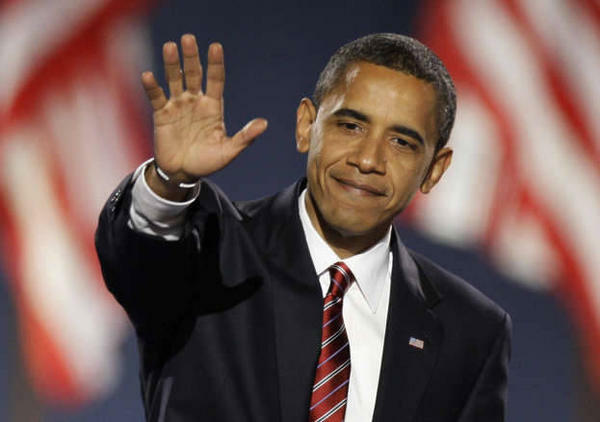 Most of my friends and family are liberals, and we all breathed a deep sigh of relief late last night when it became clear that this man was going to get four more years to try to bring us a little further along, and to leave us better off than we were when he took office. I know that for the Romney supporters out there, this loss is devastating. We all care so much about this country and we only want what’s best for her. I know we don’t always agree on how to get there, or who has the best plan. I know we sometimes have different ideas of what “best” looks like. But I hope that having this election over with can bring some of the squabbling to heel, and we can finally get some stuff done. Trick or treat? Definitely a treat day here for me.